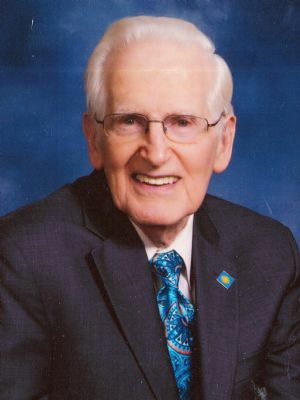 Eugene L. "Stu" Cowan, 92, of Brereton Manor, Washington Boro, formerly of Abbeyville Road, Lancaster, entered into rest on Wednesday Feb. 6, 2019 at home. Born in Lancaster, he was the son of the late David and Lillian (Lehman) Cowan. He was the loving husband of the late Louisa (Kostich) Cowan who died in 2009. Mr. Cowan worked as a photo engraver for the Lancaster Photo Engraving Co. Later he also delivered for Way Delivery service. During WWII, he served as a corporal in the U.S. Army. He was a member of Bareville-Leola-Leacock Lions Club and the Lutheran Church of the Good Shepherd. He was an avid Yankees fan and an avid golfer. He will be lovingly missed by: two nephews and a niece, John D. married to Sandy Cowan, Lancaster, James D. married to Zoe Cowan, Willow Street, Donna J. married to Charles Fisher, Lancaster; seven great-nieces and nephews and extended families. He was preceded in death by: two brothers, Kenneth and John; and a sister, Dorothy Schott. The family would like to thank Charles Lynch for his care and assistance to Stu. Funeral services: 10 a.m. Monday, Feb. 11, 2019 at the Lutheran Church of the Good Shepherd, 750 Greenfield Rd., Lancaster, PA 17601 with viewing from 9-10 a.m. Entombment: Conestoga Memorial Park. Kindly omit flowers. Memorials are suggested to the Memorial Fund at the Lutheran Church of the Good Shepherd c/o the above address.